February 1, 2019 (Phoenix) – Visit Phoenix partnered with RCMA to collect nearly 400 children’s books during the conference to be donated to a local domestic violence shelter that houses women and their children. Two Visit Phoenix team members, AJ Altaras and Donn Oswald, were in Greensboro, North Carolina, to kick-off the collection on Tuesday, January 29. “The Greater Phoenix area is known for warm, Southwest hospitality, and it’s important to us that we give back to the communities that we visit ourselves throughout the year and continue that tradition,” said Donn Oswald, Director of Midwest Sales at Visit Phoenix. Participating in efforts to give back to the community is part of a greater collective effort among the downtown partners called “Faith in Phoenix,” which began a decade ago. The initiative’s mission is to become the premier religious conference & meetings destination in the West. Visit Phoenix is a private, not-for-profit organization that markets Greater Phoenix as a travel and meetings destination with offices in Downtown Phoenix, Washington D.C., and Chicago, and serves as the primary booking agent for the Phoenix Convention Center. Greater Phoenix encompasses 2,000 square miles and more than 20 incorporated cities, including Glendale, Scottsdale, Tempe and Mesa. The area offers more than 65,000 rooms in approximately 475 hotels and resorts. 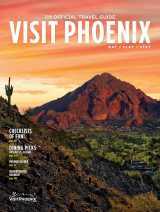 For information on Phoenix meetings and conventions, go to www.visitphoenix.com or call 1.877.CALLPHX. Image: From Left to Right: Harry Schmidt, RCMA President and CEO; AJ Altaras, Visit Phoenix Director of National Accounts; James and Portia Shipman, Sherri Denese Jackson Foundation; Donn Oswald, Visit Phoenix Director of Midwest Accounts. 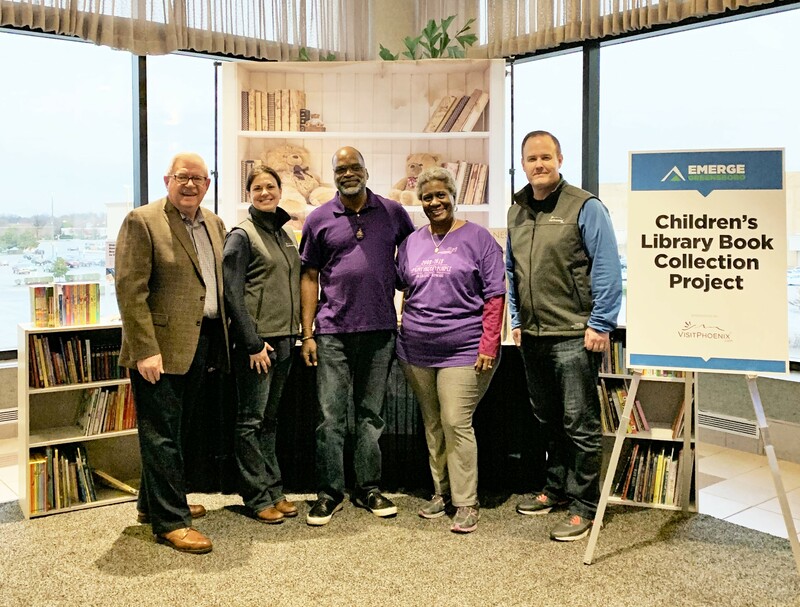 Representatives from RCMA, Visit Phoenix and the Sherri Denese Jackson Foundation pose in front of the children’s book collection “library” at RCMA’s EMERGE 2019 on Tuesday, January 29.